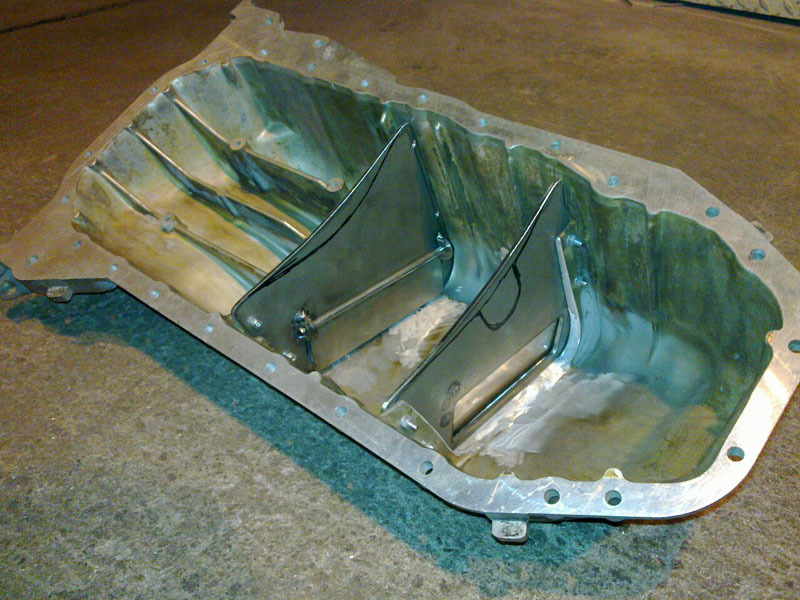 For sale oil sump baffle plates. Will eliminate the problem that oil forces up in the block breather at hard launches. 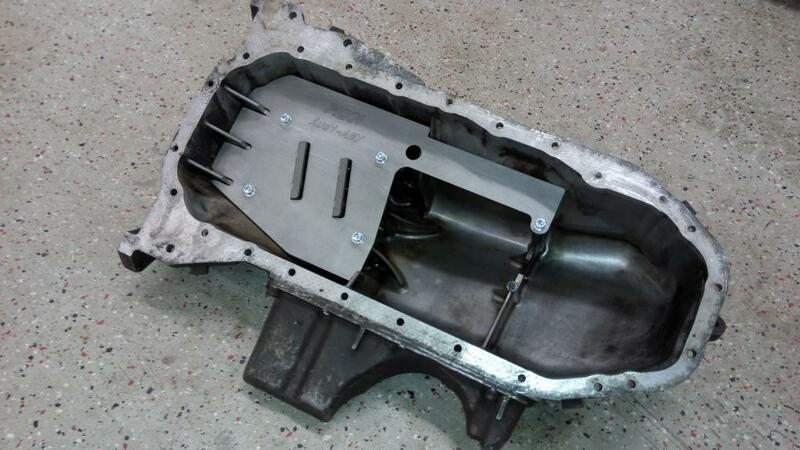 My friend have been testing this type of baffle the whole summer in a 800hp typ85 and had no oil pick up in the catch can. Other wise the sump was stock. Made of 2 or 3mm steel. AAN sump doesn't have the threaded holses to fit bolts, so M6 fitting holes have to be tapped. Something like a 5min job to do. ABY/3B version. The front bolt need a M6 tapped hole, other wise it's PnP. Price 45e + shipping. AAN version. Price 40e + shipping. Last edited by Thuppu; 13th December 2017, 18:43. 3B option? Is the sump the same as the 7A? Seems that 3B/7A/NM/ABY/ADU have the same sump, part number 034103599E. What about taking wide corners? I don't think there have been much problems with oil starvation in fast cornering with these engines. 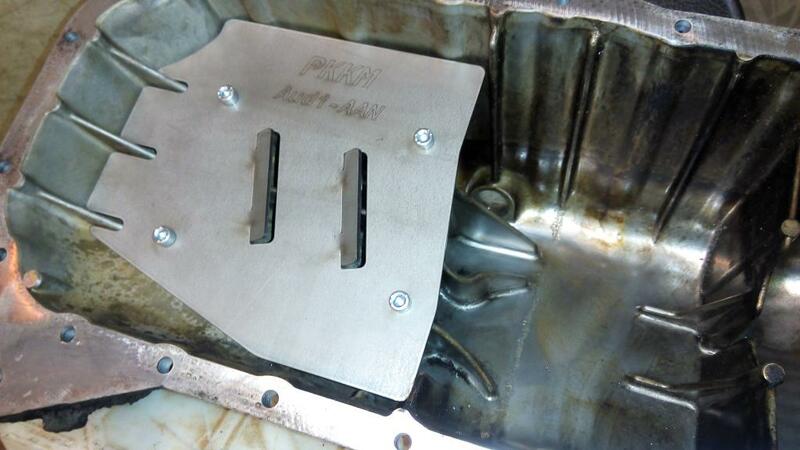 But as the ABY/3B sump has different shape as the AAN one it will get a small wing to the left(intake) side. 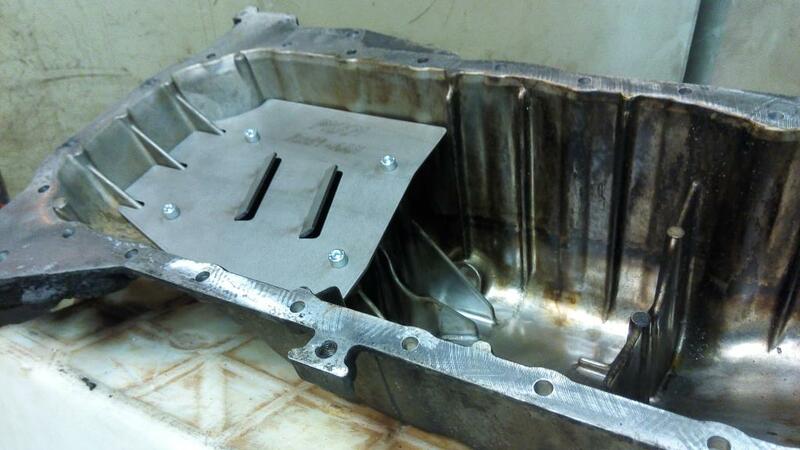 On the right side there is the factory widage tray. One for me please . That's a very elegant solution. What about the area around the oil pickup tube? Thanks! I run these kind of baffles atm, but I'm not pleased with them. They don't help anything with the "oil flooding brather" problem. My friend run with only the horizontal rear plate and has no problems, no oil starvation and no brather flooding. The car has been driven and tested on track. 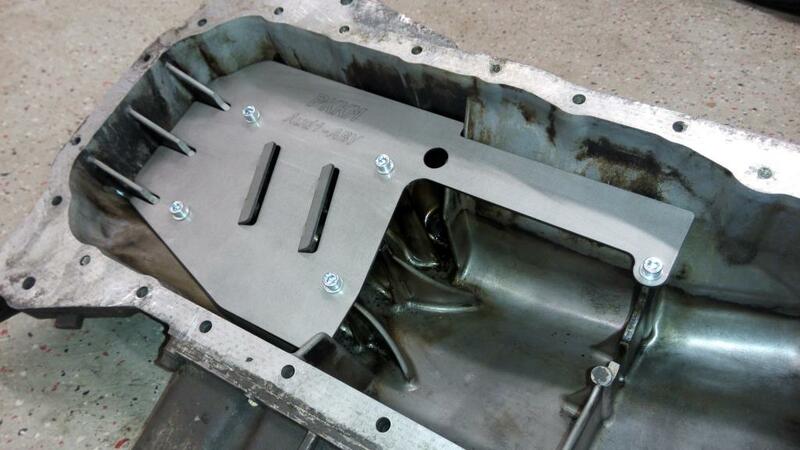 Since 7A sump is the same as aby/3b/adu then +1 for small chassis sump for me. Until then i have to use aan/7a combo. Picture taken from forum here. All times are GMT. This page was generated at 07:27.